Vivo is a subsidiary of BBK electronics, who also own Oppo and OnePlus. Collectively, BBK electronics has developed many groundbreaking technologies like an in-display fingerprint sensor and super fast charging (OnePlus’s DASH charge and Oppo’s SuperVOOC). 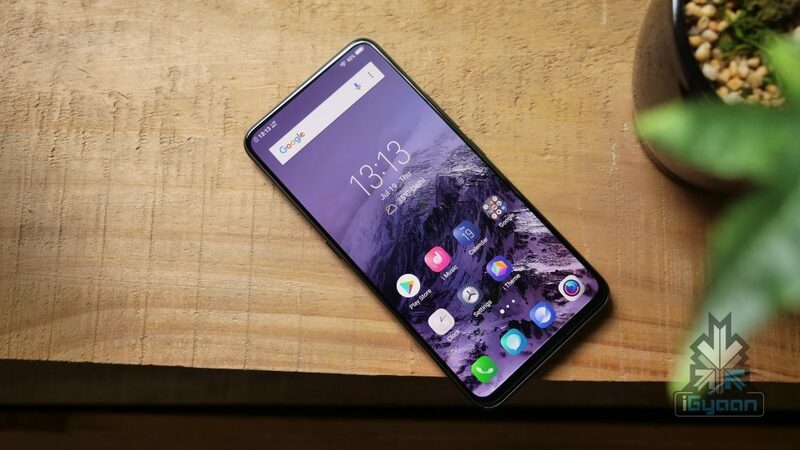 Earlier this year, the organisation launched the Vivo Nex S smartphone with an edge-to-edge display and a pop-up camera. 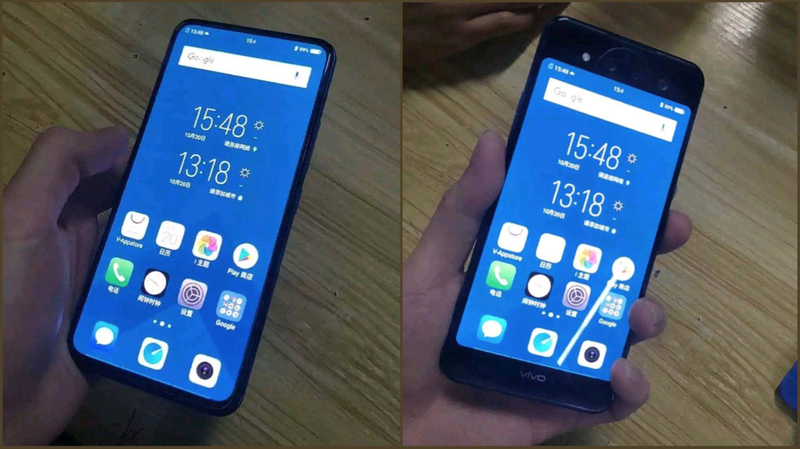 Not long ago, its successor Vivo Nex S2 was spotted online with triple cameras and dual displays. Another Chinese smartphone manufacturer, Nubia has already launched a Dual-screen smartphone called the Nubia X. The Weibo post was shared by A non-company executive but the shared posters look legit due to their quality. 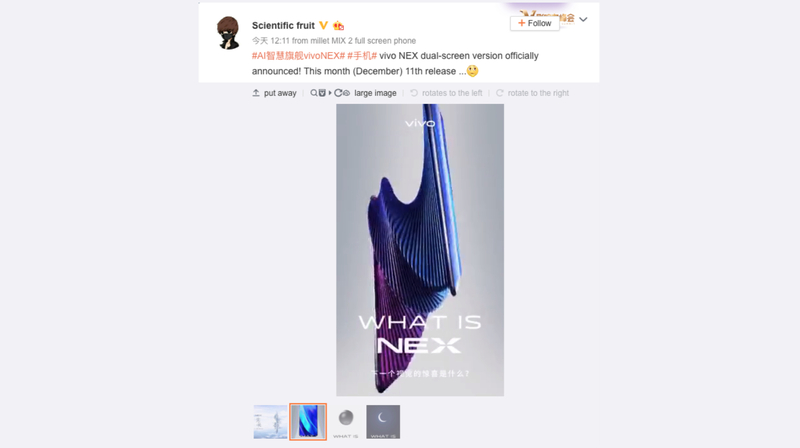 Although the post is in Chinese, use of the translation software reveals that the Vivo Nex S2 will launch on the 11th of December. 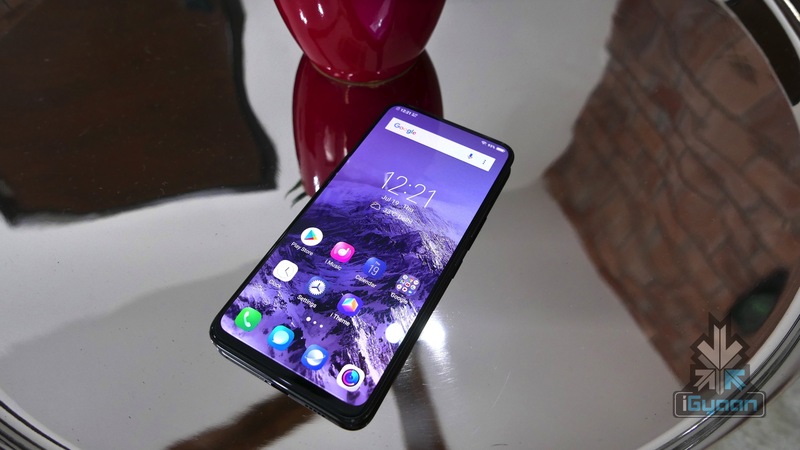 All in all, the Vivo Nex S2 seems like a smartphone from the future. However, its official specs and price will only be available at the time of its launch.